Boulders Development was first introduced in 2008. The first 32-room, Boulders Inn & Suites started in Denison, Iowa. Since 2008, the company has expanded, adding several hotels across Iowa and Missouri, including the Des Moines area. 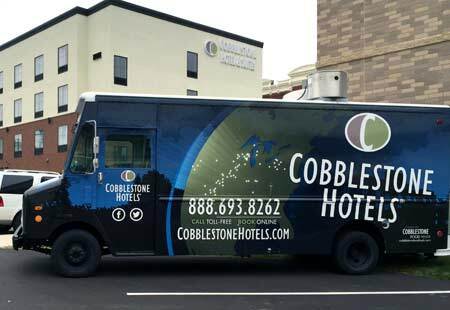 We believe Boulders Inn & Suites represents the best brand value based on our high-quality guest rooms and suites. Boulders Inn & Suites properties are non-smoking and equipped with a fitness center, business center, free wireless, and a breakfast bar where guests are offered a complimentary hot breakfast each morning. Modern rooms are equipped with iron/ironing board, top of the line bedding, comfortable seating, microwaves/refrigerators, and a well-lit work area. Our friendly, professional staff is at your service and are happy to direct you to the many amenities offered at each Boulders Inn & Suites hotel location. Boulders Inn & Suites proudly offers a traveling business or leisure guest an “Elevated Comfort”. 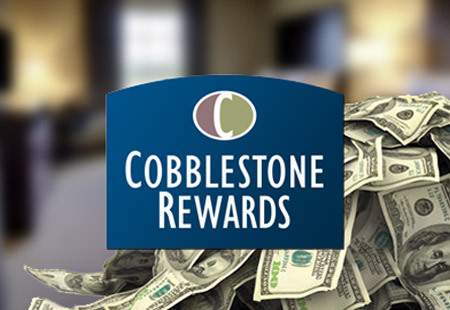 Whether you’re on a family vacation or attending a corporate meeting, Boulders locations offer elevated comfort and our staff is dedicated to helping you enjoy your stay. 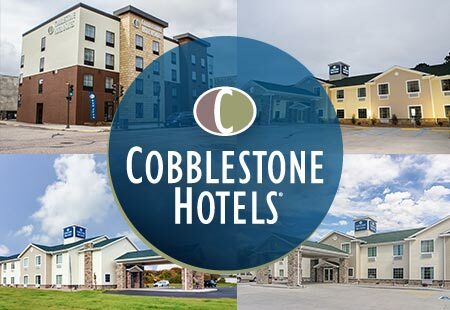 Cobblestone Hotels is the fastest growing hotel chain in the midwest! See if we are coming to a town nearby!